• For use on vertical pipelines. Free Float® construction using a precision-grounded Free Float®. 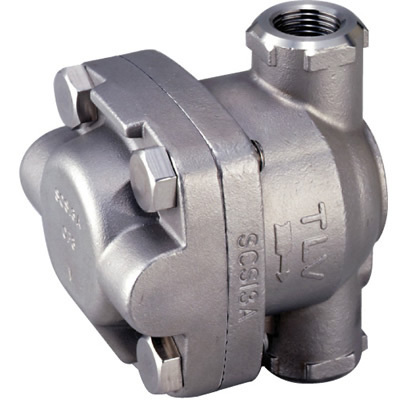 The valve opening is under a continuous water-seal, so no air can escape through the valve. The float’s 3-point seating holds the float tightly against the valve opening even under small condensate loads, so no air is allowed to escape. Maintenance is possible while still installed in the piping. Removal of condensate from air-using facilities.